Award-winning Yorkshire construction company GMI have been appointed to build and refurbish two prestigious warehouse and industrial units for Phase One of Burnley Bridge Business Park. GMI have been contracted to build out Magnesium Court and refurbish The Cobalt Building. Magnesium Court comprises 29,000 sq ft of excellent warehouse and industrial space, while the larger Cobalt Building is 64,100 sq ft (See Spotlight feature overleaf). James Chapman, managing director of developers Eshton, commented: “This is a very important appointment and crucial to the success of Burnley Bridge. 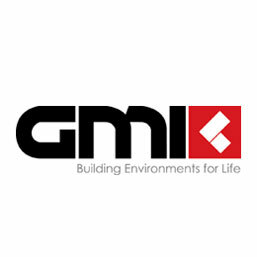 GMI Construction has an excellent reputation for being reliable, efficient and professional and for completing quality projects on time and within budget”. GMI Construction Group PLC (GMI), based in Leeds, was formed in 1986 and has grown to become a well-established successful building and construction services company operating throughout the UK. Jarrod Best, Group Managing Director for GMI Construction Group said: “We are delighted to be involved in this exciting project with Eshton. The development of Burnley Bridge Business Park will bring excellent industrial/distribution services to the local area and beyond”.